If the explosion of measles cases hasn’t made you question what year it is, this health alert from the Centers for Disease Control and Prevention may inspire a double-take at the calendar: Unpasteurized milk may have sickened people in 19 states. Yes, as the country grapples with five—count’em, five—outbreaks of a vaccine-preventable disease, the CDC is warning that another infectious disease of yore poses a risk to widespread dairy drinkers—at least the ones who soured on the standard, decades-old process to remove deadly pathogens from their milk. The infectious disease is Brucellosis. It’s a hard-to-define febrile illness caused by Gram-negative Brucella bacterial species that infect a variety of animals and the occasional unlucky human. There are four species that pose particular risks to humans: Brucella suis, found in pigs; Brucella melitensis, found in sheep and goats; Brucella canis, from dogs; and—the one at the center of this current health alert—Brucella abortus, which is carried by cattle. Usually, the disease pops up in developing countries. But in the US, meatpackers, hunters, veterinarians, farmers, and careless microbiologists are at risk—as well as those who consume unpasteurized dairy. 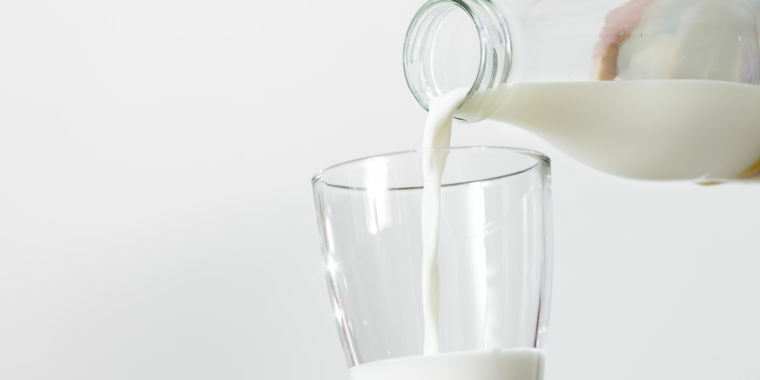 The CDC reports that a Brucella abortus strain called RB51 was found in unpasteurized milk distributed from Miller’s Biodiversity Farm in Quarryville, Pennsylvania. RB51 is a weakened strain that veterinarians use to vaccinate cows against more dangerous varieties, which cause abortions in the livestock (as the name suggests). The vaccination doesn’t cause any symptoms in non-pregnant cows, but on rare occasions, RB51 can quietly slip into milk and cause serious illnesses in humans who eschew pasteurization. It’s also resistant to a first-line antibiotic used to treat Brucellosis. Health officials identified a cow shedding RB51 on the Pennsylvania farm and removed it from the milking herd. But that wasn’t before the farm’s milk made it to an unknown number of consumers in 19 states. Those states are: Alabama, California, Connecticut, Florida, Georgia, Iowa, Maryland, Massachusetts, Michigan, Minnesota, Mississippi, New Jersey, New York, North Carolina, Ohio, Pennsylvania, Rhode Island, South Carolina, and Virginia. So far, one case has been confirmed in New York. But Brucellosis is maddeningly tricky to diagnose, particularly if you don’t know you’ve been exposed to it. After an exposure, symptoms can arise in as little as a week or as long as several months. It starts off much like the flu, with fever, chills, body aches, headache, and sometimes diarrhea. As it progresses, it can cause fever spikes from 104 degrees Fahrenheit to 105 degrees Fahrenheit. But otherwise, it causes a scattershot of symptoms—acute or chronic, localized or systemic. About half of Brucellosis cases are acute infections, with clear symptoms occurring quickly. The other half of affected people experience a slower unfolding of symptoms, which can roll into a chronic infection with fevers that come and go over years. The infection can affect multiple systems in the body or be localized to certain tissues or organs. It has been associated with skin problems, such as rashes and abscesses. It’s also linked to bone and joint issues, particularly inflammation and pain in the lower back (vertebral osteomyelitis) and arthritis. It can lead to inflammation of the kidney, prostate, testes, liver, and/or gastrointestinal tract. In rare cases, it can affect the heart and the central nervous system, causing inflammation of the brain and spinal cord, all of which can be fatal. The most definitive way to diagnose Brucellosis is to try to grow the bacteria from blood, bone marrow, cerebrospinal fluids, or wounds. But it can take up to four weeks to show up in lab cultures. Treatment typically involves weeks of antibiotic treatments. Patrons of Miller’s Biodiversity Farm may have been exposed at any time since January 2016. The CDC warns that anyone who drank milk from the farm within the last six months is at risk of coming down with the infection. People who drank the milk longer than six months ago and have symptoms but haven’t been tested should get to their doctor pronto, the agency warns.